Now is the time to mark the New Zealand China Friendship Society’s National Conference and AGM in your diaries. The theme of the Conference is “Good things take time!”. 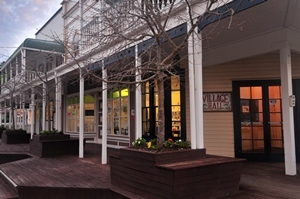 The Conference and the AGM will take place in the Village Hall of Tauranga’s Historic Village, on May 27 to 29, 2016. 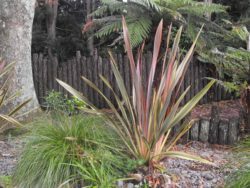 We hope that you will make it, and will also be able to enjoy the delights of Tauranga and the Bay of Plenty! With the establishing of the NZ Free Trade Agreement with China in April 2007 a new phase started with many new initiatives from New Zealanders keen to establish commercial relationships with China. The NZCFS Conference in Tauranga is providing a superb opportunity to recognise value of different approaches in maintaining positive relationships with China. 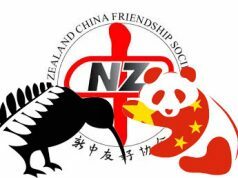 Each year, the New Zealand China Friendship Society creates a theme for the following year that unites the members in their future efforts. Last year, Rewi Alley’s comment, ‘You Banfa’, was our watchword – ‘There is a Way’. 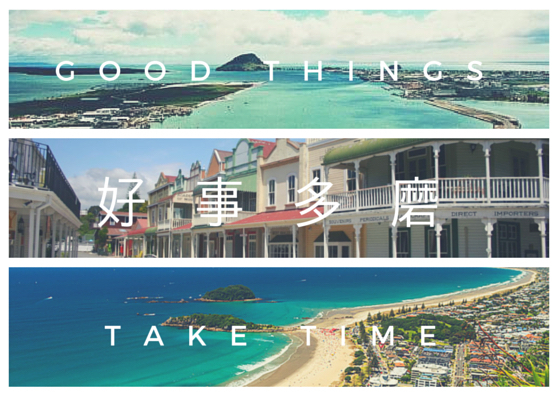 This year, the watchword is ‘Hao shi duo mo’, meaning ‘Good things take time’. This was inspired partly by our own New Zealand flax, which to the Maori is a symbol of close family unity. The leaves of the flax always remain in one cluster so caring for all its offspring. This year (2016), the conference emphasises this thought knowing that we have goals and that we must find ways to achieve them (see Programme, below). All this takes time and future development means a lot of purposeful work, but all is feasible. The theme is also about developing the Society for the future and building on past work. In particular, we must encourage more young people to join the Society as well as recognising the efforts of our own young members. In other words ‘Hao shi duo mo – Good things take a lot of work’. 6.45 Catching up with Lǎo péngyǒu [old friends]. 7.30 Dinner at local restaurant MACAU, on The Strand, CBD – a suggested option. 8.00 Ongoing Registrations, collection of goodie bags, etc. 9.25 Simon Appleton, Consultant – Founder of Eastern Bridge: “The importance of building positive relationships in China“. 8.00 BANQUET Venue: Tauranga Art Gallery, Cnr Wharf and Willow Streets, Downtown Tauranga. To download this provisional programme, please click here. To register please click here to download the registration form. 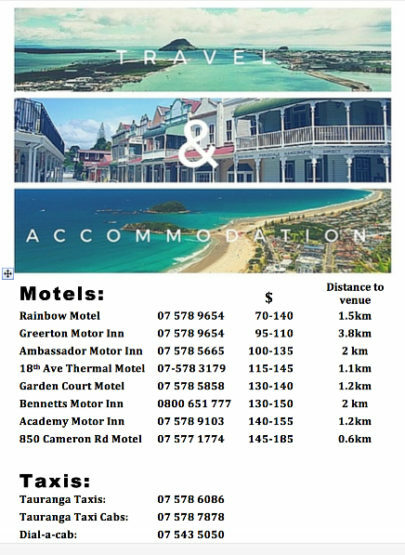 For a choice of accommodation and taxis, please refer to the details in image below, or, for your convenience, download a pdf of the list.